Sometimes you just don’t get to your Feedly in a timely manner…so this morning, I looked back at about 8 days worth of blogs. Some great posts, but what interested me was some of the connections my mind began to make in this week-plus dive into the blogosphere. First, Lisa Lane wrote a provocative piece entitled “The Electronic Frontier is Closed.” She noted that historian Frederick Turner in 1893 announced the end of the Wild West…and that the time had come, due to the current management of information in commercially controlled spaces (Blackboard or Canvas), the web is no longer “open”…and that therefore, it is time to write the history of the open web. This idea that our learning spaces give rise to “horrors” was echoed in Tony Wan’s EdSurge post on danah boyd’s keynote at SXSW EDU, which noted that critical thinking and media literacy efforts in education are backfiring today. Wan noted that boyd was not against critical thinking, but rather suggested that the very act of asking questions as a way to challenge narratives had become weaponized and manipulated. Students have been emboldened to check facts…but how does one check facts if the media cannot be trusted? Rather than “trust” Wan’s interpretation, I went seeking boyd’s remarks. boyd noted that most educators are deeply committed to evidence-based learning…but who gets to decide what constitutes a fact? In my Northeastern class on Technology as a Medium for Learning, we explore validity on the web, as well as digital tools like screencasting and blogging – two mediums that students and teachers can use to self publish their own works. 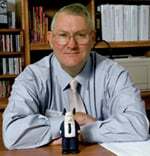 boyd noted that developing “…media making skills doesn’t guarantee that someone will use them for good.” boyd discussed “gaslighting” – manipulating media is to pervert the public’s thinking – and how some media is triggering more problems than solutions, such as Netflix’s 13 Reasons Why. In the L&D world, there was a post about the shift from learning to performance. It noted that the rationale for learning technology had shifted over the years from record-keeping to engagement and now to performance. It suggested that L&D technology needed to evolve or clients would turn to web-searchers and their own trusted online sources to find the support they needed. So what connects these posts – from Lane to boyd to Wheeler to James? The one word that comes to mind is “trust.” Lane noted that she still believed “…like Barlow, that the freer the space, the less opportunity there is for abusing our fellow human beings.” boyd argued “…that we need to start developing a networked response to this networked landscape. And it starts by understanding different ways of constructing knowledge.” Understanding and trust go hand in hand. Wheeler wonders about the quality of education…and quality and trust are intertwined. James suggests that refocusing on performance allows for metrics that mean more than the “dark art” of measuring learning. Like boyd, I certainly do not have answers. I was simply struck by the common threads that ran through these posts this past week. 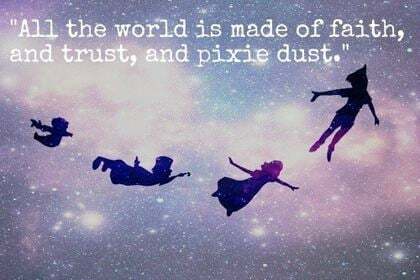 J.M Barrie in Peter Pan noted that “All the world is made of faith, and trust, and pixie dust.” I am not sure which of the three we need more of these days! Thank you for putting me in such august company! I’m not sure that the reliability of where/how one checks facts is a much of an issue as whether people think it’s important to do so. Is there a drive, a motivation, to verify facts at all? boyd questions whether media skills would be used for good. Literacy (the old-style media skill) isn’t always used for good – I’m wondering now why there has ever been a belief that new media wouldn’t be just as morally complex as old media? Perhaps the moral issues are finally being examined in depth. The open web freedom I defend (and romanticize) could also be seen as having led to closure and commercialism. 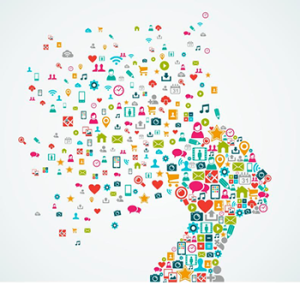 Perhaps we are romanticizing the skills of critical thinking too.